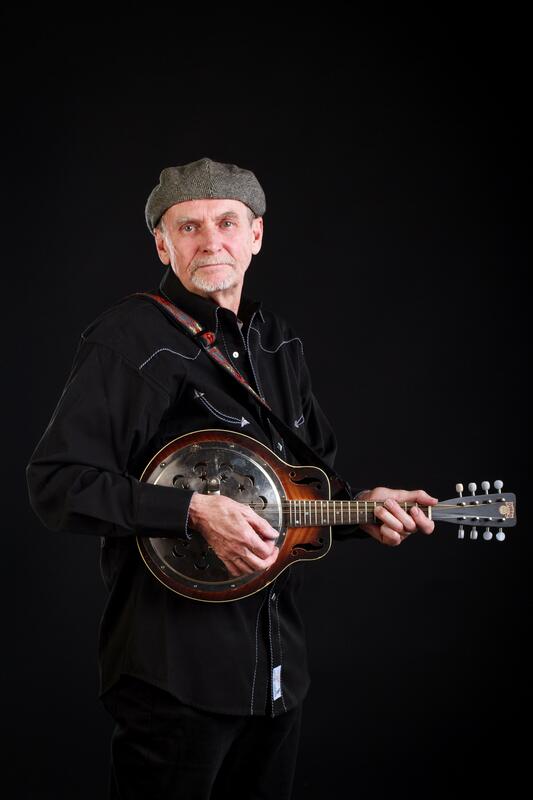 Steve has more than 35 years of experience playing around Duluth, Minn. He's worked with the Sawtooth Mtn. Boys, West Wind, Cabin Fever, Razin Kane, The Heard, Jericho Road, Déjà vu Drifters and Sweetgrass. His fiddling and mandolin playing can also be heard on albums by such artists as Greg Tiburzi and Eric Rhame. He was also a featured performer in the annual Bob Dylan tribute shows at the NorShor Theatre in Duluth. Steve has quite the collection of e-mandos, including a National Silvo and a J.L. Smith in addition to this electrified Dobro mandolin.